The world came to know Aung San Suu Kyi through her fearless campaign for the democratization of Myanmar. She is the former political prisoner and Nobel Peace Prize winner who emancipated her country after nearly 50 years of military rule. 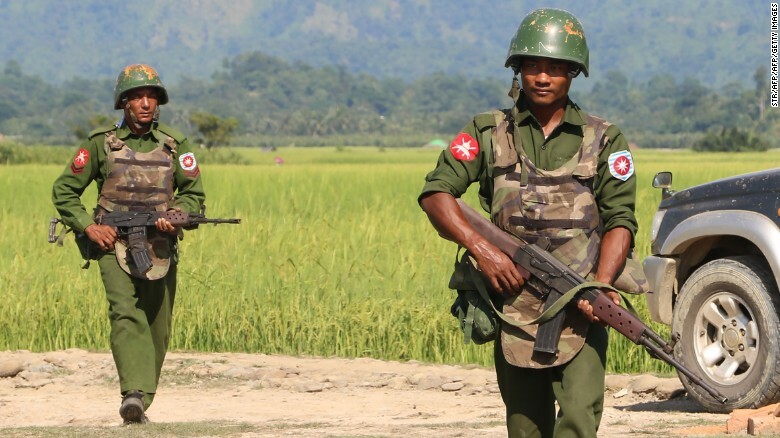 So when, in August of this year, the military retaliated against an overnight attack on one of their army bases by undertaking what has since been described by the UN as a “textbook example of ethnic cleansing” against the Rohingya, it seemed only a matter of time before Suu Kyi would intervene. But as the days and weeks passed, to the world’s astonishment, she said nothing. The only thing more deafening than her initial silence were the howls of condemnation from all sides. She’s been stripped of various honours, described by Human Rights Watch as “complicit” and “part of the problem”, and by Bob Geldof as a “handmaiden to genocide”. This week, fresh evidence of horrific crimes committed against the Rohingya featured in Gabriel Gatehouse’s film for BBC Newsnight. US Secretary of State Rex Tillerson has called for an independent investigation. Next week, Pope Francis will visit Myanmar and the Rohingya’s swollen and diseased refugee camps in Bangladesh. He has allegedly been asked not to use the word “Rohingya”. It is unquestionable that we are witnessing the state-sanctioned persecution of a distinct ethnic group. It certainly looks like ethnic cleansing, and the execution of the villagers of Tula Toli bears the hallmarks of genocide – a crime under international law. Explanations are not easy to come by. Even those that seek to explain her position rarely cross the line into defending it. But tellingly, every attempt to do so cites the same fundamental problem for Suu Kyi: the structure of the very constitution that restored her to public life and democracy to Myanmar. ‘The military junta, which ruled the country with an iron fist from 1962 until 2011 […] still controls the security forces, the police and key cabinet positions in the government. And there’s nothing Suu Kyi can do about it. 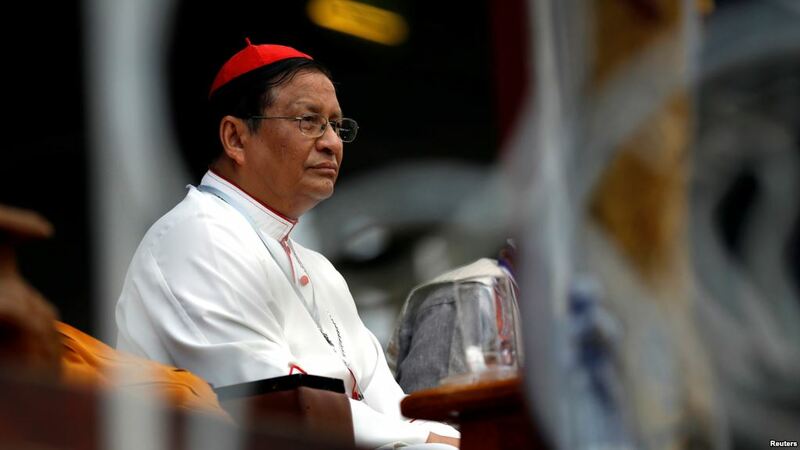 ‘Few have bothered to dig into the deeply complex political minefield that is modern Myanmar. Suu Kyi and her National League for Democracy, despite winning the country’s 2015 poll in a landslide with almost 80 percent of the vote, are very much the junior, powerless partners in an invidious power sharing arrangement that seems to have so easily tricked the rest of the world. ‘International criticism of Aung San Suu Kyi, including by the U.N. leadership, U.S, European Union and even some of her fellow Nobel laureates, is “very unfair,” Bo said. 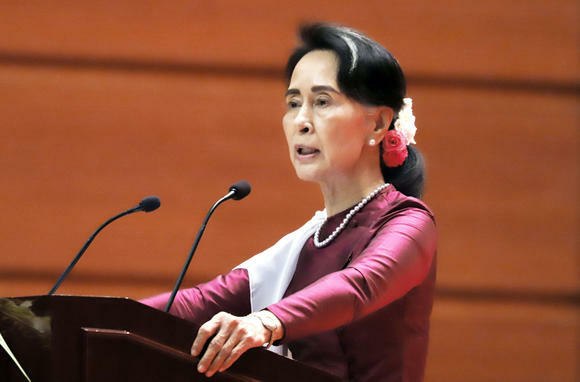 ‘“It is clear that the military want to drive out Muslim people from these areas but [Suu Kyi’s] government has not allowed it to do so,” Sithu Aung Myint, a prominent political commentator based in Yangon, told Quartz. On this reading, the very constitution that liberated Suu Kyi and her country from military rule contains within it a latent, near-Damoclean threat of a return to the junta. It seems plausible that, as a result, she fears any condemnation from her will result in more harm being caused to a much greater number of people. Clark Hogan-Taylor is a freelance copywriter who compiles 5 Things on Friday and tweets at @c_dangerfield.